The first step is done, LEPTON 1.1.0 is available. After some months of hard work LEPTON is released stable today. Many thanks to all involved people who made this possible. We are very happy about many best wishes that reached the project. Thanks to all. It is a god motivation to keep on developing and maintaining LEPTON. 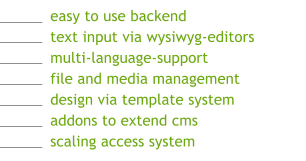 Please download 1.1.0 stable and start creating websites with LEPTON.